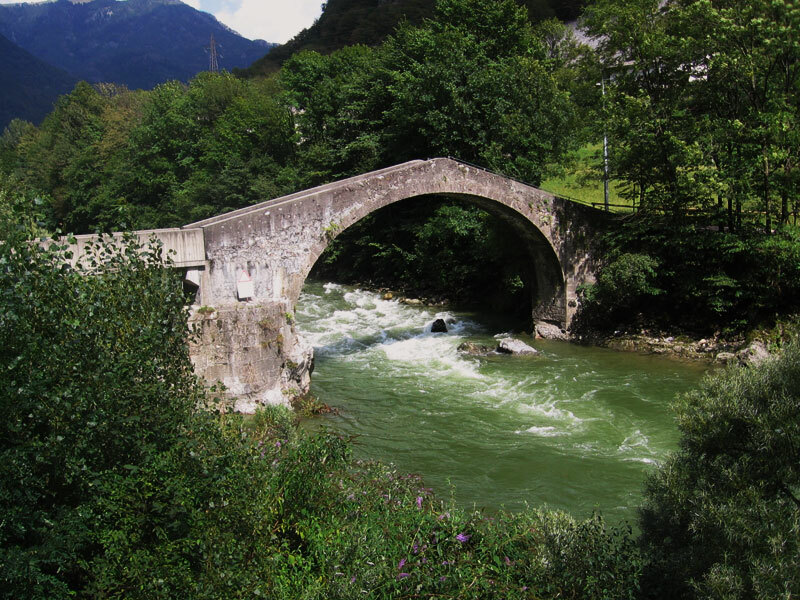 Lenna is located just on top of the two main branches of the river Brembo, Mezzoldo and Fondra. In recent years, there has been a transition from an agricultural to an industrial and handicraft reality, which lead to the positive aspect of limiting working commuting in the area. The industrial exploitation in Lenna had begun already in XIX century, when Lenna was a concentration of forges and furnaces specialized in processing of extracted minerals from the upper valley. The forge’s work was an employment and a tradition so rooted in the territory that was attributed to an apparition of the Virgin to a locksmith’s apprentice in 1400. Today, the sacred image of the Madonna is preserved in the Sanctuary of Our Lady of Harvest. The handcraft tradition reached its peak in 1500 with the architect Mauro Codussi, born in Lenna, and one of the most important interpreters of the Venetian Renaissance in architecture. His works are still to admire in: St. Michael, S. Zaccaria, S. Maria Formosa and St. John Chrysostom in Venice, in the Clock Tower in Piazza S. Marco and civil architecture of the palaces Zorzi, Corner-Spinelli and Vendramin -Calergi. Today Lenna dedicates many of his attention to the conversion of its territory in a popular destination for cycle-tourism. The recent inauguration of the bike path of the Brembana Valley, a path that leads to the Goggia’s plain, following below, on and off, on the bridges and along the Brembo’ scenarios. For more experienced cyclists other paths were inaugurated in the forest roads, along mule tracks and trails in the forests of the valley floor.